In the time of grief, we are always focused on our emotions and the feelings of our friends and family, who may be also going through this difficult time. But what about our pets and their animal companions? Don’t they grieve also? Is animal companion grief real? Many of our beloved furry friends are pack animals and being a part of a family where there are more than one animal species living in the home or barn ensure a natural bond with one another. So when death occurs, it’s a natural occurrence to have one animal grieving for another. Yes, animal companion grief IS real. Just as you are dealing with your grief, so are your other animal companions. So what are the signs to look for? How do we know if our other animal companions are suffering? How can we help them as well as get through the grief ourselves? These are all important questions and concerns. Through my years as a veterinarian’s daughter, I have had my share of pets, horses and even 4-H animals. 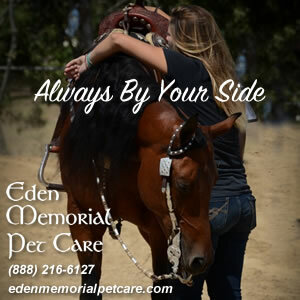 I have seen and experienced much grief in my life, in addition to now being owner of Eden Memorial Pet Care, Inc., where we daily assist pet owner’s in their time of loss. The hardest and most eye-opening experience for me was recently experiencing grief of one incredible horse at the barn I assist at weekly. 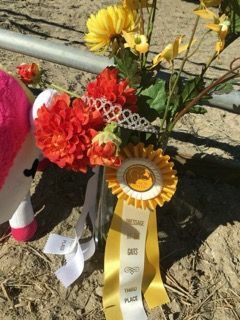 The grief was so tragic that it still resonates through the barn even almost 7 months later. In respect for my friend’s privacy at this time, I have changed some names in this story. I asked my friend, Elena, if she was ready to help tell this story; but she is still having a hard time. I respect that and will tell the story from my perspective of what I saw in the barn moments after “Tessa’s” death and now months later. 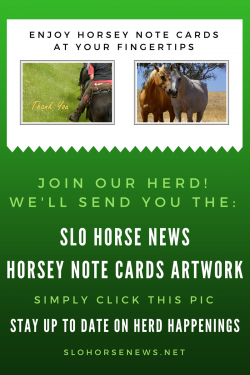 A little background…after having a 10 year hiatus off of a lifetime of riding and showing horses, due to marriage, kids, finances; I had a daughter, Dyllan, who showed a love for horses. I, of course, jumped at the opportunity to have her learn to ride. I was overjoyed to watch my little girl smile and get all “giddy” each time we would enter the barn. Sometimes I didn’t know who was more excited, she or I. I met Elena, when we had moved and were searching for a good stable where Dyllan could ride and continue to learn. By the time Dyllan was 9 years old, she discovered swim team…and then that was all she wanted to do. Although she loved horses, they were not her #1 anymore. I accepted it and was actually a little relieved due to the costs of riding and being a single mom. So there I was…just bought a new 6 lesson package with a new trainer and just going through a divorce. Elena, Dyllan’s new trainer, and I had hit it off immediately during Dyllan’s lessons…it’s one of those friendships where you meet someone and have felt like you have known them your whole life. When I told her that Dyllie really wanted to pursue her swim team and it would take up most of her weeks, Elena looked at me and said, “You need to ride! 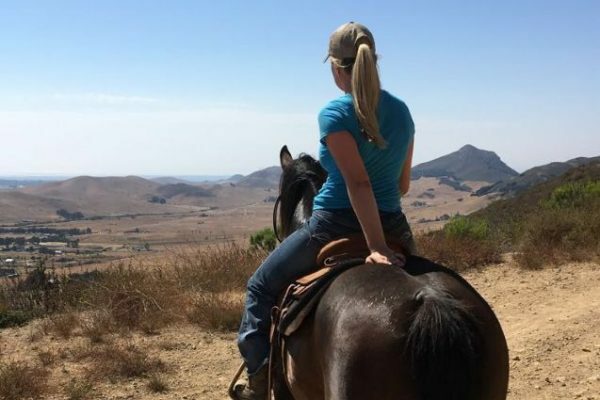 Going through this divorce and having your past riding experiences…get up on that horse right now!” So I did, and what unfolded was my rediscovery and confidence in riding as well as a great friendship with Elena. She soon after started her own Equestrian Riding and Training stable and I became her “once a week helper”, trading work for riding and helping with the horses. I provided her with help, she paid me in “horse therapy”. Here we are nearly 4 years later. Elena is extremely modest, but I can tell you how amazing she is. I have never known a more caring, considerate, experienced, amazing horse woman. 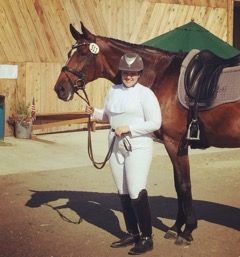 She can get a horse to do the most amazing beautiful dressage maneuvers and because of the love and mutual respect between her and each one of her horses, they will do anything for her! It’s an incredible thing to watch, and I’m in constant awe of her and her abilities. She had an opportunity some time ago to take on this amazing mare, “Tessa”. In the barn “Tessa” was the Queen– And a “Queen” she was! Everyone in the barn, horses too, knew “Queen” was the ruler of all. She would walk through the barn or down the driveway and everyone would whinny and scream. She would walk proudly around almost like, if she could, do a beauty queen wave to her fans. And to ride her—Holy Smokes!! I had the privilege once and will never forget it. Her gaits were smooth and effortless and with a horse of her size, it was a thing of beauty not only to watch but to be honored to sit on her back was an experience of itself. Elena and “The Queen” would “dance”, the beautiful dressage move called “Piaffe” and also the “flying lead changes” that brings chills to me to this day on just the memories of seeing it in person or on video. They were quite the pair! 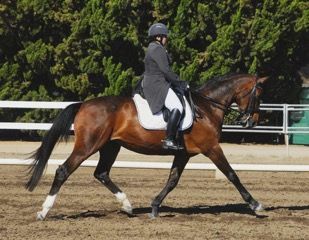 They were honored in the United States Dressage Federation with a Gold Medal (Intermediate 1, A, B and II and Grand Prix) and the Silver Medal (Fourth Level and Prix St. Georges). I went out to the barn within the hour…the silence was deafening. The doors to the barn shut up tight, quiet stillness, cold air, no leaves on the trees and a blanket where Queen had taken her last breath. I cried. There was a heaviness in the air like one of those lead aprons they put on you when you get an x-ray at the dentist—it felt like that weighted blanket covered the whole property and each creature under it. The two horses out in their paddocks were not themselves. The usual knickers as I enter the property were not heard. One gelding was pacing- back and forth. He was closest to Queen, not only in proximity of shared paddocks but he just really loved her. Then there was the other matriarch of the barn, Lola. She hung her head in the corner and was quiet and solemn. Everyone else was tucked away in their stalls—quiet. I entered the barn, visited each stall and looked in. Everyone was grieving…you could feel the sadness. I cried again. I took a deep breath and got to work. It was lunchtime and everyone needed to keep in their routine. It would be the best for everyone. 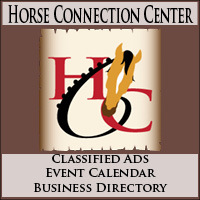 I swept the barn, tack room, and hay shelter. I went and got the cart and cleaned out Queen’s stall. I picked up her halter and lead, wrapping it up so gently and hung it in the barn where it belonged—like hanging up the crown of the Queen. I took her blanket and hood and probably folded and refolded at least five times before it was just right. It just seemed wrong to put it away. I wanted to place it in a way to show her honor…almost like when the soldiers get the American Flag folded up in a ceremonial way and hand to the fallen soldiers family. Through the next few months, flowers, bouquets, stuffed animals, letters, pictures all filled Queen’s paddock. The most beautiful memorial you could have imagined and proper for a “Queen”. But as the cold winter month passed, the barn still felt “heavy”. Elena was having a difficult time and unable to really be out in the barn for much time at all. But not everyone else was the same. Geo, the gelding who was closest to Queen, was still not ok. He was anxious and sad and would continue to look across his paddock to Queen’s and just whinny and whinny. It’s been almost 7 months since Queen’s death, and some horses have gone back to other barns but our main players are still there. The barn finally feels lighter but Queen’s presence is continually felt. We all can feel her watching over everyone and especially Elena. We feel that Queen recently sent Elena another amazing mare…a horse you can tell is just another one in a million. All part of the process of grief – never to forget or “get over” but just to feel; grieve at your own pace and for each person or animal to experience the loss in their own time. So how do we Recognize and Help our Beloved Companions Through Grief? What Can we do to Help with Animal Companion Grief? 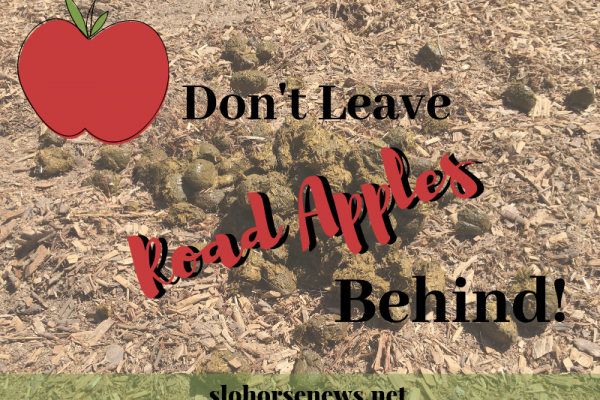 Keep your routine—same feeding schedules, walks, riding, etc. Don’t reward bad behavior – in other words if your animal companion is acting out (growling, biting, not listening, etc.) do not allow it just because they are sad. They still need to continue to behave and need boundaries. 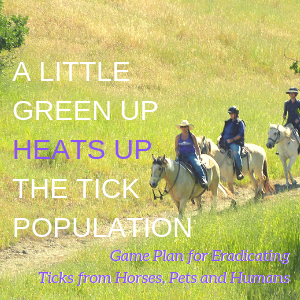 Spend good quality time with each animal – this is a good way to “check in” and see how they truly are…especially with horses. When I rode a couple different horses at the time of Queen’s death, you could feel that everyone was just “off”. And yes, as riders we know, they can sense our feelings as well. But the horses closest to Queen definitely were different for some time and had good and bad days just as we do when we are experiencing grief. Let them say goodbye. Now this is controversial. Some people don’t feel it’s a good idea to allow other pets or animals to say goodbye. Smelling or lying next to the deceased animal are all typical behaviors if an animal sees or experiences the passing of the other animal. Even with some dogs, I have heard stories of them bringing their favorite toys to lie next to the deceased body and/or lying next to them smelling and whining for their friend. I believe you know your pet best. Each animal is different just as you or me. The important thing to ask yourself, is this going to help them or is this for me to feel better? With some animals it may be more traumatizing to watch euthanasia or experience their friend’s death. But in some cases, especially with animals that have been bonded or grown up together, having them close by will be comforting for all parties involved. 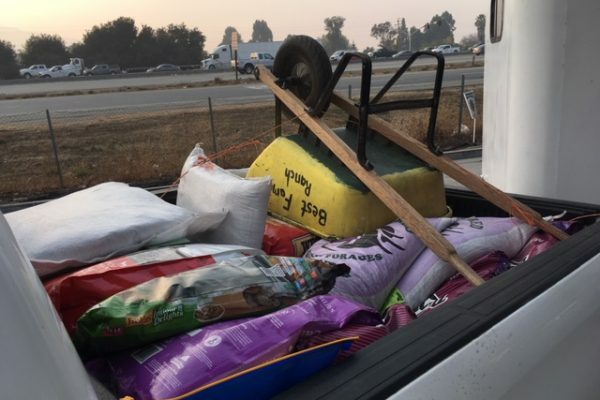 As I stated before, my hope is to bring some understanding to animals and how they grieve; and that in sharing this story it will help one person in a similar situation. Grief can be an extremely lonely time but it doesn’t have to be that way. Talk to people, reach out, and certainly take your own time to grieve—Also recognize that you aren’t alone and that your animal companions are going through the same process. Understanding one another and being there for each other is the best way to heal. Business Owner, Writer, Entrepreneur, Mama Bear— If I’m not running my 2 kiddos around, you will find me working on the next business project, spending time with the people I love and seeking new adventures.